Automated manual is poor. Only a few models qualify for zero VED. High incidence of clutch failure on manuals. Timing belts need replacing at three years or 30k miles. 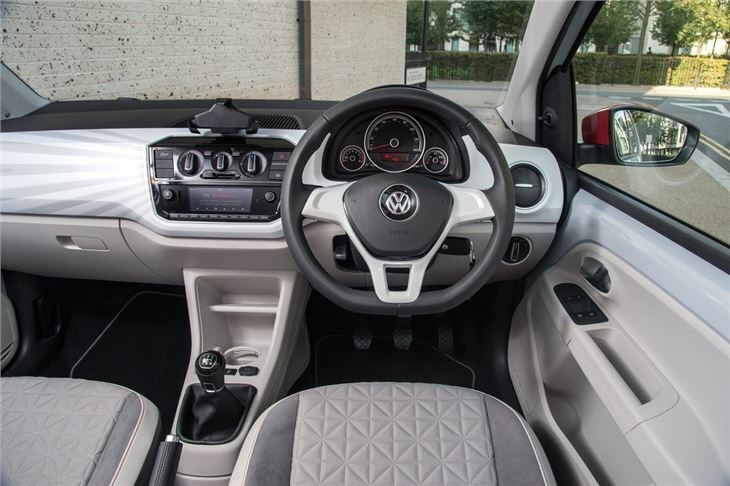 The Up is one of the most important cars Volkswagen has launched in recent years, offering a well thought out and compact package that’s economical, easy to drive and appealing to those downsizing from larger cars. It’s nimble, distinctive, well built and represents good value for money. 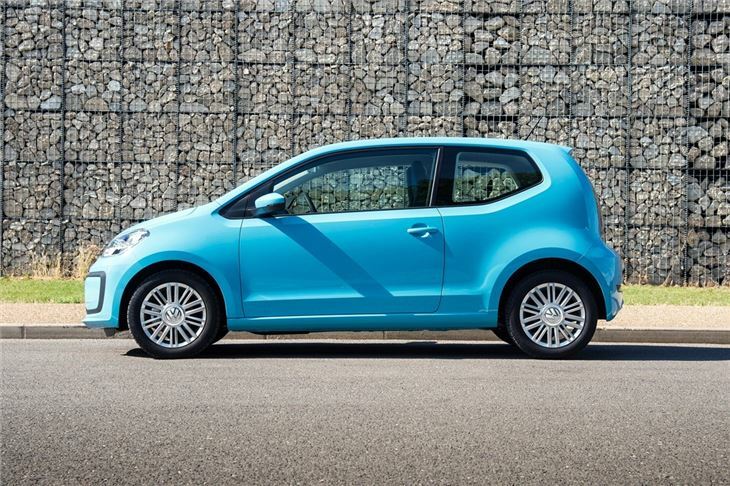 SEAT and Skoda both have their own versions, called the Mii and the Citigo, respectively. 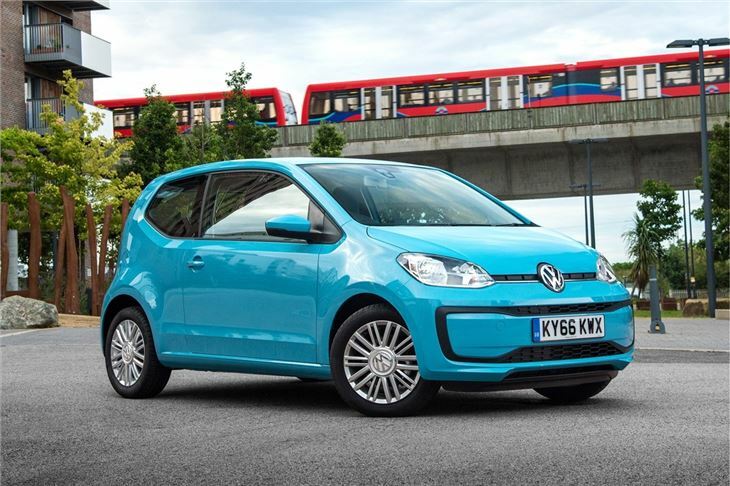 Two versions of the same 1.0-litre petrol engine are offered, one with 60PS and one with 75PS. Both produce the same amount of torque and provide enough go to make town driving enjoyable, while a tall fifth gear makes motorway cruising subdued. 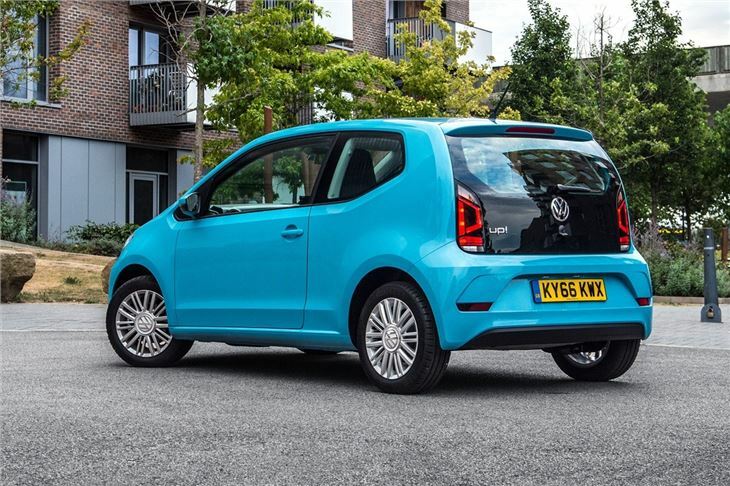 Both engines are efficient, with the cleanest BlueMotion model returning a claimed 68.9mpg and delivered a low 96g/km of CO2, making for free VED and congestion charging. There’s plenty of space in the cabin despite an overall length of just 3540mm. Space in the rear is good, with room for six-foot passengers. 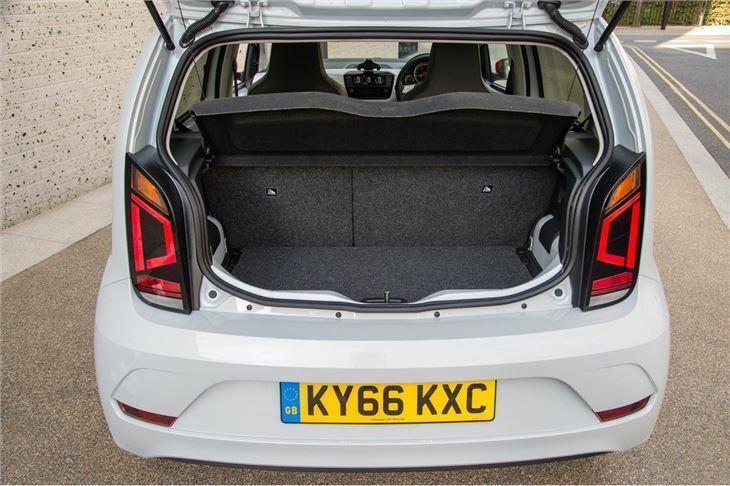 The boot is 251 litres, but can be expanded to 951 litres by folding the seats. Both the three-door model and five-door model have the same exterior dimensions and boot space. The former is on sale now and the latter goes in sale in September 2012. Sit behind the wheel and you could be forgiven for thinking you were in a larger car. The Volkswagen ‘feel’ permeates the cabin. Everything is solid and well put together, and although there is a lack of soft touch materials the Up doesn’t feel any worse off for it. 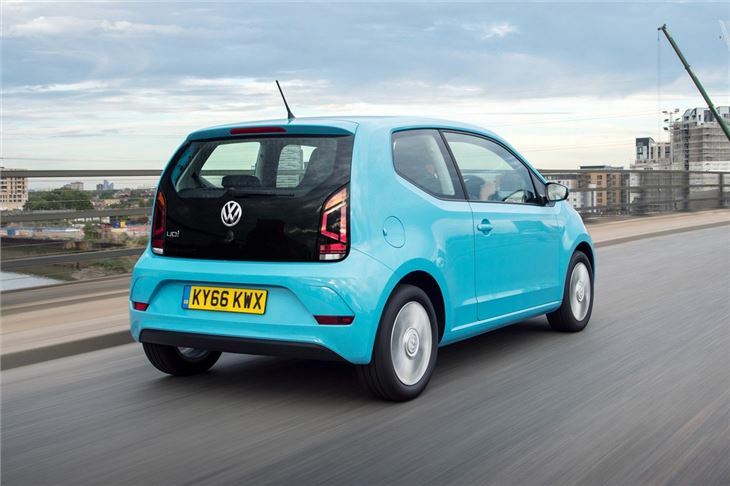 It’s easy to drive, with a characterful engine sound, smooth gear change and light steering. Visibility is good and because of the ‘wheel on each corner’ design you’re always very aware of the car’s small size, making it simple and enjoyable to thread through tight traffic. 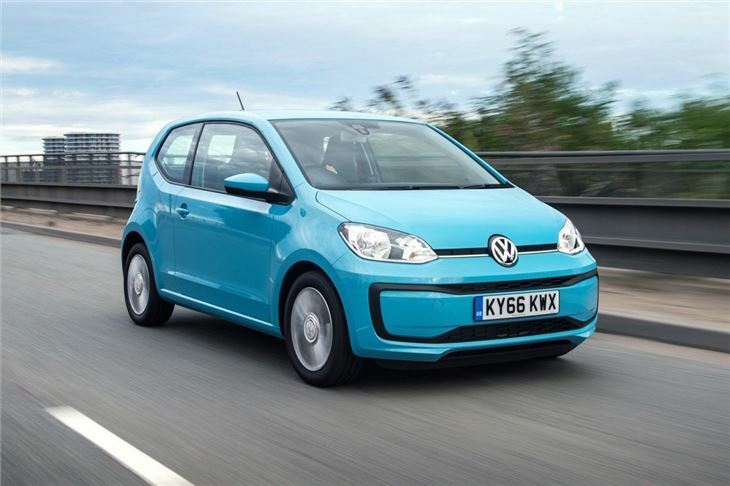 Reasonable city car with major flaws.